The iStick bending adaptor is a newly designed genius spare part for your iStick. It can save space and make the device easier to carry when attached with atomizer. 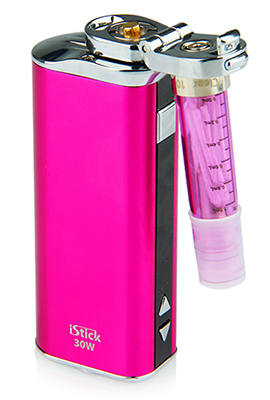 The iStick bending adaptor is designed to save space and make the device easier to carry. With the iStick bending adaptor, unnecessary wear and tear will be substantially reduced, which is better for protecting the thread. It only works with Eleaf iStick battery to connect with 510 thread atomizers. It's not suitable for 50w istick, the cartomizer won't be vertical; when using with 30w istick, there is a little angle of tilt, also the diameter can not be over 11mm.